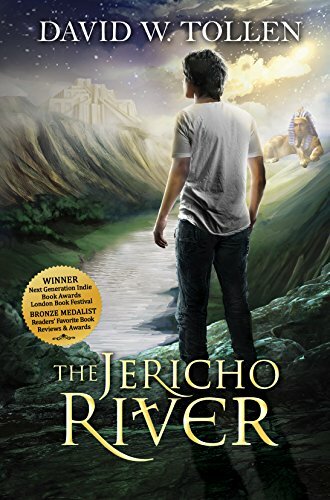 In The Jericho River, Jason Gallo travels in the Fore, a world shaped by myth and history, in order to find his father. Connecting all time periods and regions chronologically within the Fore is the Jericho River, a sort of timeline. Tollen introduces the reader to a wide variety of cultures through time and space in a fluid and smooth manner. As such, I highly recommend The Jericho River by David Tollen for educators and students interested in an engaging presentation of history. As Jason Gallo travels in the Fore down the Jericho River, he looks for his missing father in places like Sumer, Egypt, Greece, Rome, and France. Through the descriptions of the various places and times in history, along with dialogue throughout the book, the reader is presented with a vivid picture of the major civilizations throughout world history and their respective cultures. Moreover, Tollen is careful to slowly unveil the mysterious forces working against Jason, conflicted friends of Jason, and Jason's backstory, resulting in an engaging and entertaining book with unexpected twists and turns. Additionally, each chapter has an introduction to the particular region in which Jason travels, along with notes scattered throughout, commenting on certain aspects of that culture. These include things like a short note on what Sumerians thought about Amorites, the Hebrew understanding of monotheism, and the Greek Colossus of Rhodes. Notably, though, such comments are sometimes making more explicit what is already clear through the narrative discourse. In doing so, the reader unknowingly learns a great deal about ancient history, with the short note sections as supplements and clarifications. The reader is presented with a vivid picture of the major civilizations throughout world history & their respective cultures. The Jericho River includes some helpful education tools. First, for educators using the books or for readers unsure of locations, the maps are particularly helpful. Second, the book includes a timeline of all the event in the story, another helpful tool for educators. Third, and most impressively, Tollen included a variety of questions for each chapter. These questions could be leveraged by educators to help students think more critically about the book and use the book as a starting point for a more in-depth examination of certain points in history. In conclusion, I was thoroughly impressed by David Tollen’s The Jericho River, particularly because I primarily read non-fiction books. Even so, I was impressed by the fluid and smooth manner in which Tollen introduces the reader to a wide variety of cultures through time and space. Moreover, his ability to work comparisons of the respective cultures into the narrative is particularly valuable, as it illustrates both the uniqueness and similarities throughout cultures in world history. Undoubtedly, this book would be a great starting point for Social Studies educators looking to approach their curriculum in a way that does not begin with a textbook but instead with an engaging work of historical fiction. That is to say, I highly recommend The Jericho River by David Tollen for educators and students interested in an engaging presentation of history. Tollen, David W. "The Jericho River." Ancient History Encyclopedia. Last modified February 08, 2019. https://www.ancient.eu/review/205/. Tollen, David W. "The Jericho River." Ancient History Encyclopedia. Ancient History Encyclopedia, 08 Feb 2019. Web. 19 Apr 2019.